Aug 25, 2016 in "Les Parfaits Inconnus"
Les Parfaits Inconnus will be having its final performance at Epcot's Canada Pavilion on Saturday August 27 2016. 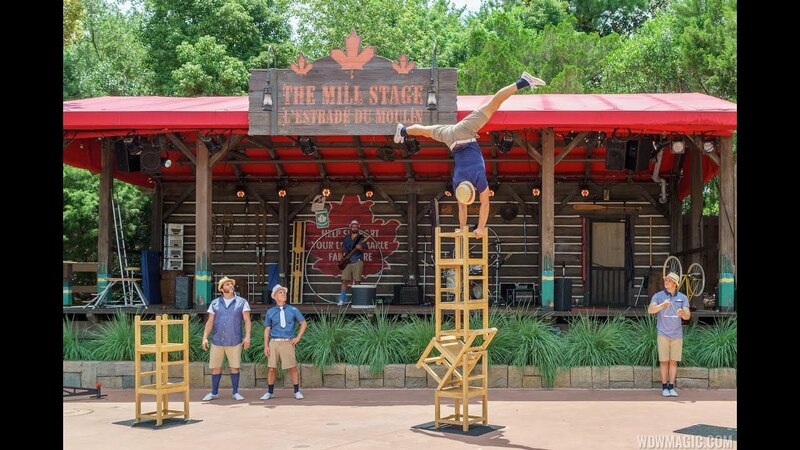 From Montreal Canada, the group blends music, comedy and circus acrobatics in a 20 minute performance, with showtimes of 1:15pm, 2:15pm, 3:50pm, 5pm and 6:15pm and 7:30pm. Taking the place of Les Parfaits Inconnus will be Alberta Bound, a 5 piece live band that plays traditional music from across Canada, and includes some familiar faces for fans of Off Kilter. Alberta Bound will begin on August 31 2016 through to October 2 2016.